Today is Tchaikovsky’s 174th birthday. My earliest remembrance of hearing his music is at Christmastime. Like many people, this was my first introduction to classical music of any kind (aside from Saturday morning cartoons, which favored the composers Rossini and Mendelssohn). The tunefulness, the orchestral richness, the evocative nature of the images conjured by The Nutcracker Suite are all hallmarks of Tchaikovsky’s genius. His phenomenal ability to express emotion and paint images with music are two of the things I most admire about him. While the thrilling music from The Nutcracker (much of which is to be found in the full score, not the shortened Suite that most casual listeners are familiar with) may be so common today as to be taken for granted, critics of the day called it “from beginning to end, beautiful, melodious, original and characteristic.” It was one of the last things Tchaikovsky wrote, and destined to be his best-known work. It is not unreasonable to say it is one of the most recognizable pieces of classical music in the Western world, right up there with Beethoven’s Fifth and Straus’s Also Sprach Zarathustra. Suddenly someone understood the depths of my soul, depths that I had kept hidden from myself for fear of what I may find. This affirming and inviting music gave me license to be who I was, to feel what I felt, because I wasn’t alone: someone else had been where I was, and even if everything didn’t turn out alright, at least I had company. The opening phrase of the second movement (video below) was so beautiful, so haunting, so full of despair and longing and anguish that to this day when I hear it, it brings tears to my eyes though I’ve listened to it hundreds of times. It is the most sublime sixty seconds of music I know. I cannot listen to it without drawing a deep, sobering breath, without becoming instantly aware of my vulnerability and the fragility of life, without experiencing present moment awareness more fully than a Zen master. Could anyone listen to this and not be moved, I marveled? (actually, I think the more pressing question was, Why isn’t everyone listening to this?) Like many of Tchaikovsky’s symphonies, the palpable pathos of the second movement eventually resolves itself in exuberant triumph in the closing movement, rising above Shakespeare’s “sea of troubles” to find that there is indeed “nothing either good or bad, but thinking makes it so.” We are the interpreters of our fate, and Tchaikovsky often explored this in his works, especially the Fifth Symphony. It basically asks, Am I going to stew in my sorrow (first and second movements), or deal the hand I was dealt and live my life (third and fourth)? Carpe Diem! Shortly after my new-found admiration of Tchaikovsky I began attending outdoor concerts at Tanglewood, the sprawling estate in the Berkshire Mountains of Western Massachusetts where the Boston Symphony spends its summers. The round trip required four hours of driving. I usually opted for an expensive seat right up front, often went alone, and savored every minute of this guilty pleasure. A place where everyone sits rapt and pensive, pondering the big questions of life in a darkened auditorium is an introvert paradise. Tchaikovsky’s notes cried out plaintively on those cool summer evenings, echoing off the hillsides and disappearing into the mysterious night. I devoured more and more of his works at Tanglewood (recordings can’t match a live performance), and there wasn’t much I didn’t like: his bombastic fourth and cathartic sixth symphonies, his innovative violin and piano concertos, his dramatic overtures. He infused everything with emotion and intensity and a desire to either celebrate or bemoan life, often in the same piece. This was a conflicted man, a man of extremes with unbridled passion who tried to make sense of his life, but never quite succeeded. He composed the most famous and rapturous love theme ever written, yet love largely escaped him. He was one of the most popular composers in the world in his lifetime, but one gets the sense that he never felt satisfied or successful. Modern listeners can certainly relate to that conflict. He wrestled with life’s frustrations and tried repeatedly to work them out in his music. It was therapy for him, and for me. My psych professor would be proud of us both. Music is a very personal passion for each of us, and I can’t expect everyone to understand how Tchaikovsky’s eloquent expression of life’s vicissitudes makes me stand up and cheer inside, gives me faith in humanity or helps me make sense of my own life. Eckhart Tolle says that life has no inherent meaning, that we bring meaning to it. The works of Tchaikovsky bring meaning and richness to my life, even if they failed to do so in his own. This is his collateral gift to me. Tchaikovsky best personifies one of my favorite quotes, from the poet Robert Bly: where your wound is, that is where your genius will be. 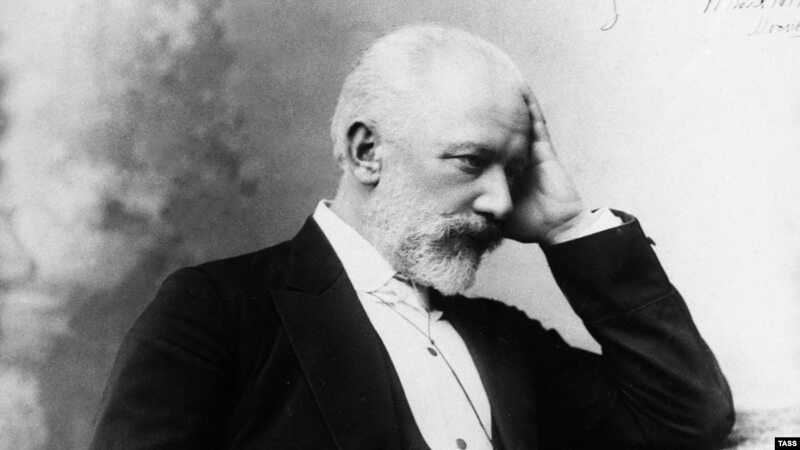 Tchaikovsky took his struggles (for one, he was a closeted homosexual in a society that would have shunned him for it) and inner demons and exorcised them through music – whether consciously or not – and we are the lucky beneficiaries of his turmoil. My words, like Shakespeare’s, cannot conjure the composer’s orchestral poetry. I therefore recommend a close listening – no talking, no distractions, as if you were sitting in the audience yourself – of the heartfelt performance of the Sixth Symphony posted below. I engage in this ritual every year on the day of Tchaikovsky’s birth (May 7) and death (November 6) to reconnect with myself, to remember who I am. It is a masterpiece of emotional catharsis. It is not for everyone, and those not accustomed to serious introspection may find the journey unsettling and become anxious. This is one symphony that does not end in a triumphant bang. Tchaikovsky based it on his life struggle, and died just nine days after conducting its première in 1893. Ars longa, vita brevis (art is long, life is short). It requires an hour of your own life, which is asking a lot in a fast-paced world of endless distraction and brief attention spans, but nothing worthwhile ever comes quickly. It is an hour that will send your soul soaring in delicious rapture and, by the end, wallowing in the darkest despair. Beginning at time stamp 40:25, you’ll discover what it sounds like when an orchestra openly sobs. It is a journey you won’t soon forget. You will be as emotionally drained at the sobering conclusion as the empathetic and stunningly aware conductor (Chung Myung-Whun with the Seoul Philharmonic) . But you may, as a result, see life more clearly than you ever did before, this life which Shakespeare called a “walking shadow, a poor player that struts and frets his hour upon the stage, and then is heard no more.” Tchaikovsky couldn’t have said it better himself in words, but he sure did in music.